In oil-rich Libya, an eastern warlord attacks the capital. Why now? And what’s at stake? 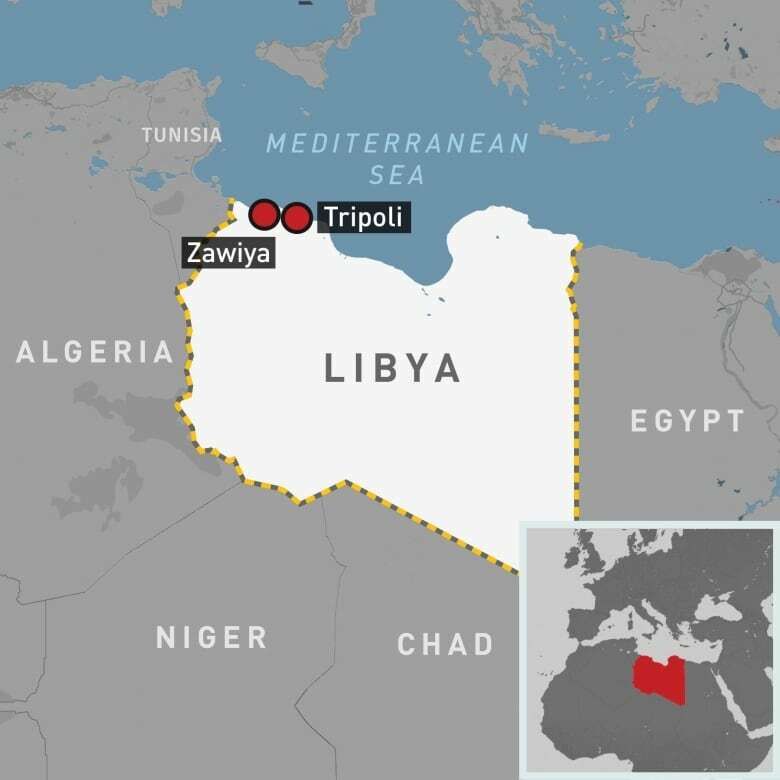 Libya is again facing the prospect of all-out civil war as forces from the oil-rich country’s east loyal to a former army commander battle to take control of the capital, Tripoli. Since the 2011 ouster of long-time dictator Col. Moammar Gadhafi by Libyan dissidents and a NATO-led coalition, including Canada, the country has been torn between competing militias, political factions and Islamic extremists vying for control. 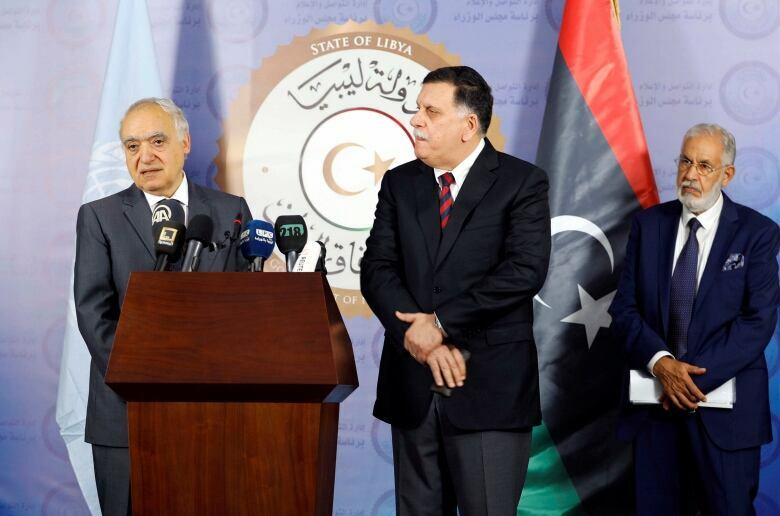 The United Nations recognizes the current Government of National Accord (GNA) in Tripoli led by Prime Minister Fayez al-Seraj, 59. He is supported by militia groups in the capital and from the country’s west. 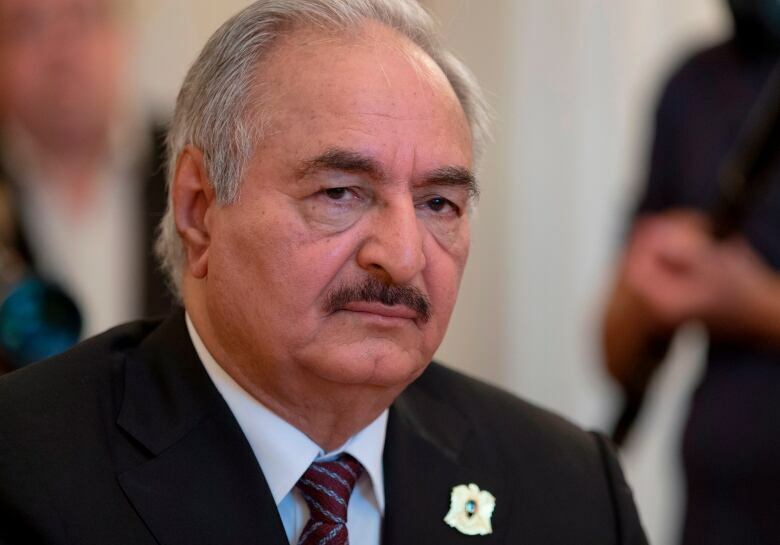 Khalifa Haftar, a former general in Gadhafi’s army, leads the forces from eastern Libya who are currently attacking the capital on behalf of his self-described Libyan National Army (LNA), which backs a rival government in the east. The desire for power and access to the country’s wealth by rival leaders, rather than competing ideologies or policy differences, is driving the current conflict, said Nathan Vest, Libya specialist at the RAND Corporation, a California-based research group linked to the U.S. military. While Haftar has partially framed his fight as a battle against Islamist groups, ultra-conservative forces make up an important section of his support, Vest added. CBC News breaks down the current conflict. Haftar’s forces had been gaining strength and territory for some time, with the capture of Benghazi in July 2017 as its most notable victory. The assault on Tripoli launched on April 4 came 10 days ahead of a scheduled UN-sponsored peace conference that aimed to launch general and presidential elections in late 2019 to resolve the country’s political deadlock. “Although the UN mission in Libya has expressed its intention to go ahead with the conference, it is now unlikely to take place, formalizing the de facto collapse of the peace process,” wrote Ludovico Carlino, a Middle East analyst for IHS Markit, a global consulting firm. Haftar likely launched his attack ahead of the conference, as he believed his forces were strong enough to take control of the country by crushing or co-opting other militias and tribal groups, meaning they wouldn’t have to share power said Vest. 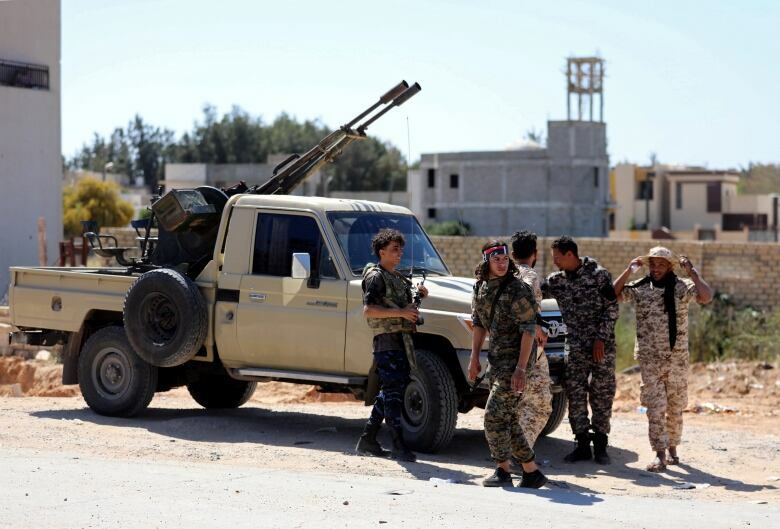 Will rebel forces from eastern Libya be successful? For now, that seems unlikely. A protracted conflict looks likely, unless Haftar pulls back. So far, more than 2,500 people have been displaced by the fighting, according to a UN official. The humanitarian toll of recent violence will increase markedly if fighting moves from Tripoli’s southern suburbs and into the heart of the capital. In 2011, Canada sent CF-18 jets to bomb targets in Libya as part of NATO’s Operation Unified Protector to oust Gadhafi. A Canadian general commanded the overall NATO mission. After Gadhafi fell, Canada’s Conservative government staged a victory parade in Ottawa in November 2011, including a fly-over by fighter jets involved in the bombing campaign. Following its initial intervention in tandem with NATO, Canada has refused to take further military action as Islamist fighters, competing militias, human smugglers and other armed groups that have plunged the country further into crisis. What’s at stake for oil markets? Libya has the world’s ninth-largest oil reserves, or some 48 billion barrels, according to the U.S. Energy Information Administration. At the end of 2018, Libya was exporting just over one million barrels of oil per day, according to Bloomberg. Global oil prices spiked following Haftar’s move on the capital. His forces already control most of Libya’s oil production, but they do not control the national oil company in Tripoli or the central bank, which disperses oil revenue to the government, public workers and some militias. In battling for Tripoli, he intends to wrest control of the central bank from the GNA, and take the town of Zawiya west of Tripoli, home to a major refinery and oil-export terminal, analysts believe. In a somewhat bizarre situation, both major factions vying for control are being paid with Libya’s oil wealth, Vest said. If violence continues and oil exports decline further, international prices are likely to rise. How does this impact migration? For European countries, particularly Italy which colonized Libya and is on the frontline of Europe’s migration crisis, stemming migration from Africa via Libya underscores much of their engagement with factions in the country. Other analysts say the current GNA government has also been happy to work with European countries on stemming migration as it means they receive money and military equipment, including coast guard patrol boats. 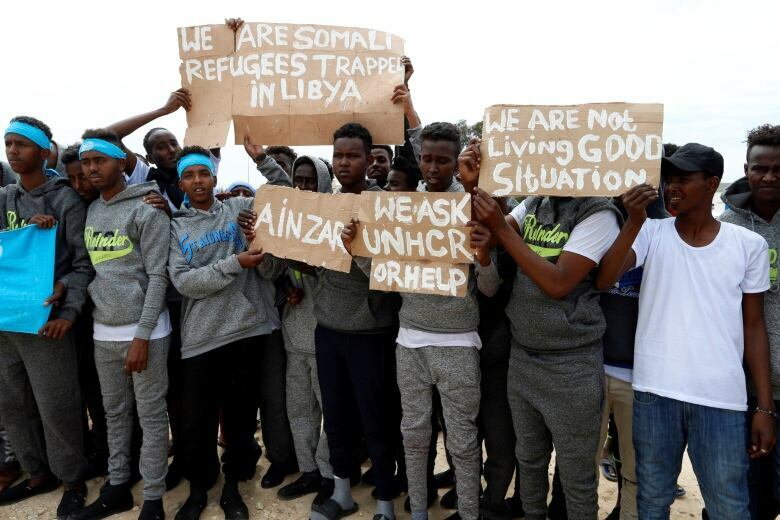 Videos showing reported slave markets selling African migrants in Libya have elicited widespread condemnation, but co-ordination between European governments and Libyan factions on stemming migration continues. This is likely to endure regardless of whether Seraj or Haftar end up on top. What lessons can be learned from the conflict? Critics of foreign interventions say Libya is a prime example of what can go wrong with so-called democracy promotion overseas. The country’s current crisis also exemplifies the lost promise of the Arab Spring. What started as a revolt against a brutal dictator has descended into lawlessness and factional conflict. They’re even less likely to “actually do anything concrete about it” now that it’s on the brink of civil war, he told CBC News via email.